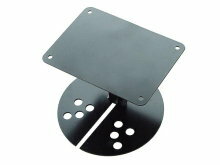 ORO's license plate light bracket mounts on any license plate with mounting holes 7" on center. 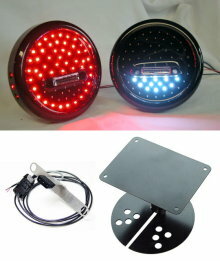 The stainless bracket mounts behind the license plate and the polycarbonate housing with the LED's to light the plate hang over the edge about 2"
The housing also includes 3 red rear facing LED's that may be wired to act as a 3rd brake light if the license plate is mounted in the center of the vehicle. Vibration and waterproof, these are designed for the long run. 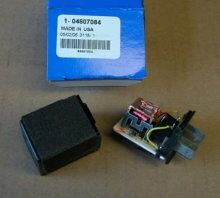 Mount them on your off road vehicle, trailer, motorhome or even dumptruck! 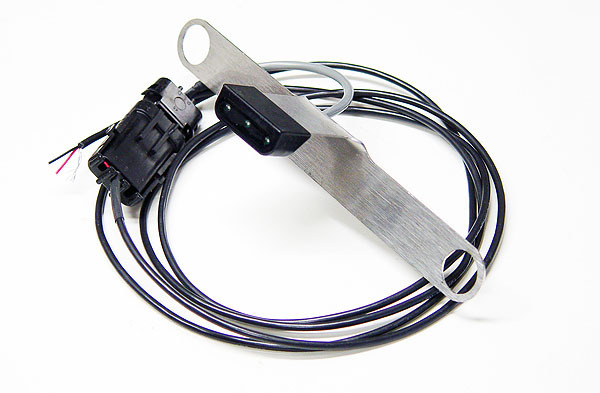 This is the version that allows for quick disconnection of the LitePLATE wiring, designed for use with the Rockhard 4x4 parts License plate relocation kit that locates the LitePLATE in the center of the spare tire, and allows for quick removal.